The time has come to say goodbye to one of the classic Lucky Charm marshmallows. Since 2008, the yellow hourglass marshmallow has been included in every box—but come this spring, it will officially be retired. This isn’t the first time Lucky Charms has switched up the variety of shapes and colors. The original line-up, which debuted in 1963, included green clovers, pink hearts, orange stars and yellow moons. Since then, only the pink heart has remained in the mix. 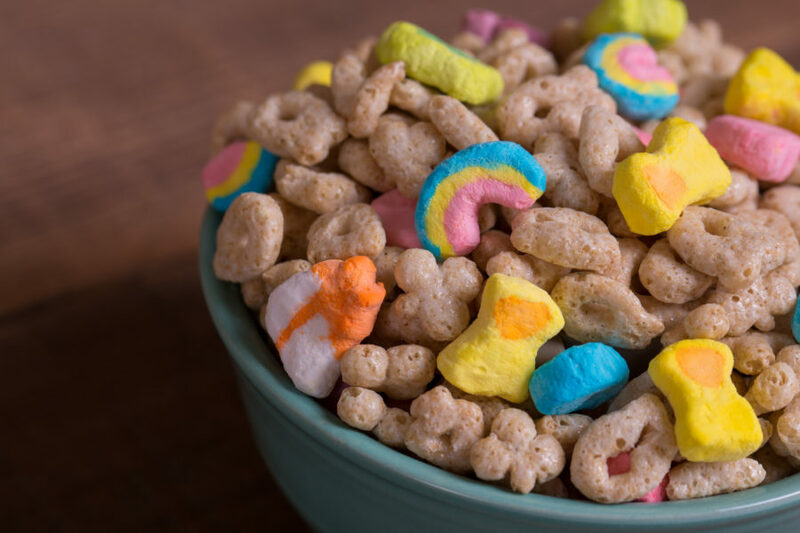 The following shapes have all been sent to the Lucky Charms graveyard: blue diamond (‘75), purple horseshoe (’83), swirled whale (’86), red balloon (’89), rainbow (’92), pot of gold (’94) and shooting star (’98). “The hourglass has been a part of Lucky Charms since 2008, but as with any hourglass, its time is up,” a representative for General Mills tells PEOPLE. And as for its replacement, “you’ll have to wait and see,” they added.